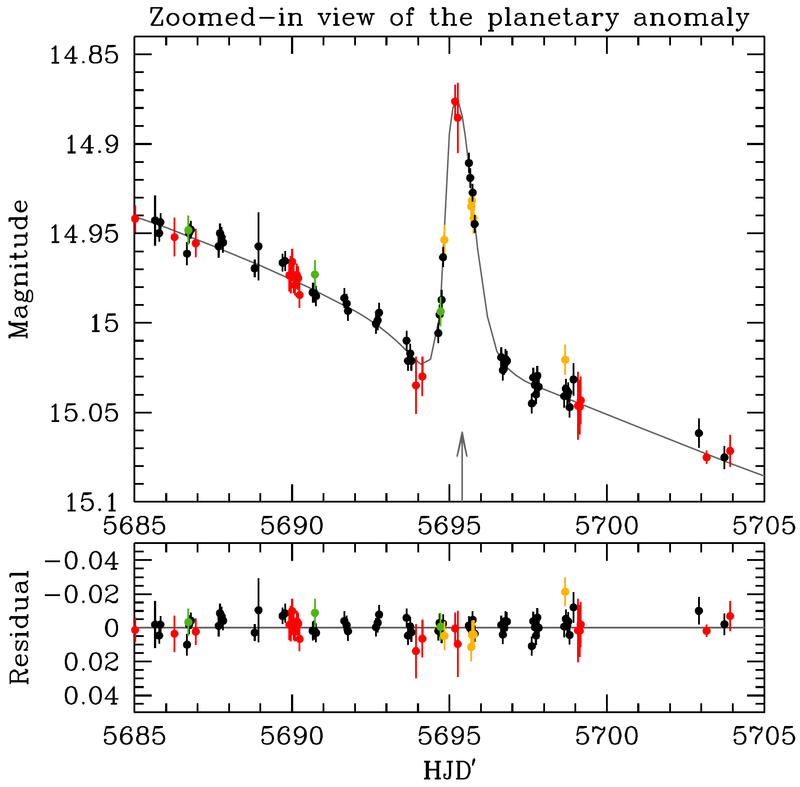 We present the discovery of a Neptune-mass planet orbiting a 0.8±0.3 M☉ star in the Galactic bulge. 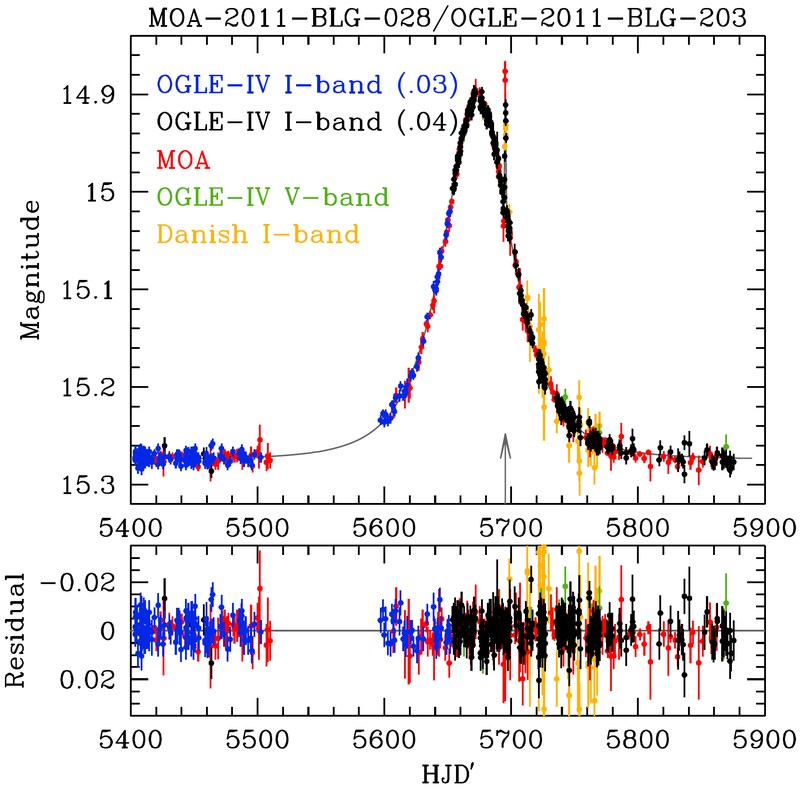 The planet manifested itself during the microlensing event MOA 2011-BLG-028/OGLE-2011-BLG-0203 as a low-mass companion to the lens star. 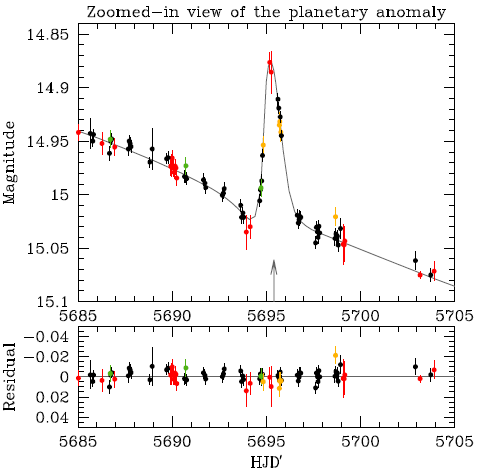 The analysis of the light curve provides the measurement of the mass ratio: (1.2±0.2)×10-4, which indicates the mass of the planet to be 12–60 Earth masses. 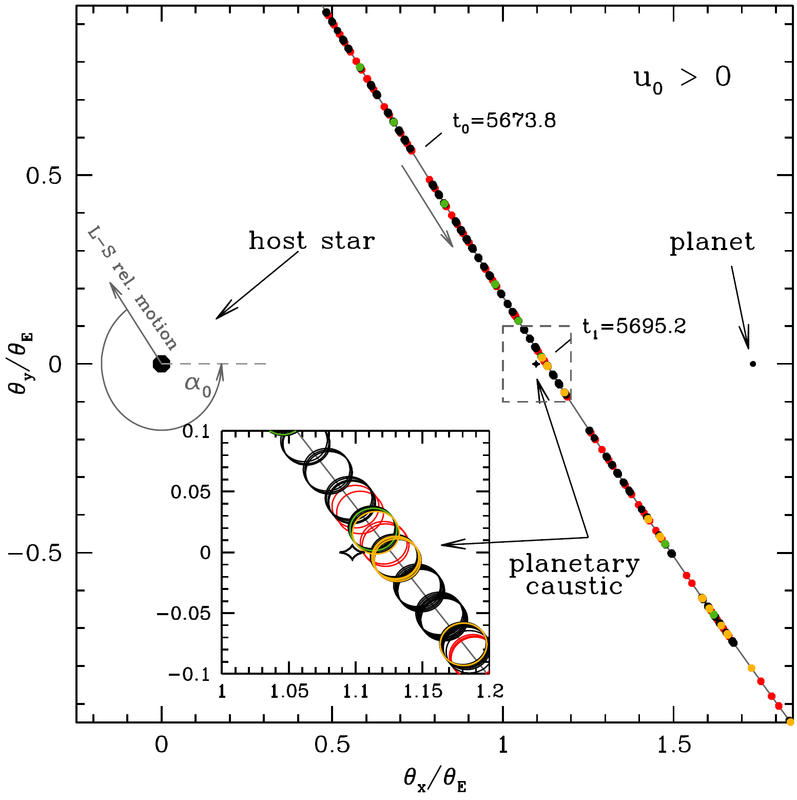 The lensing system is located at 7.3±0.7 kpc away from the Earth near the direction to Baade's Window. 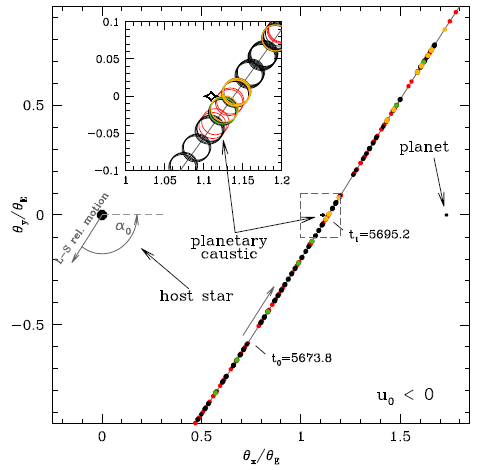 The projected separation of the planet, at the time of the microlensing event, was 3.1–5.2 AU. 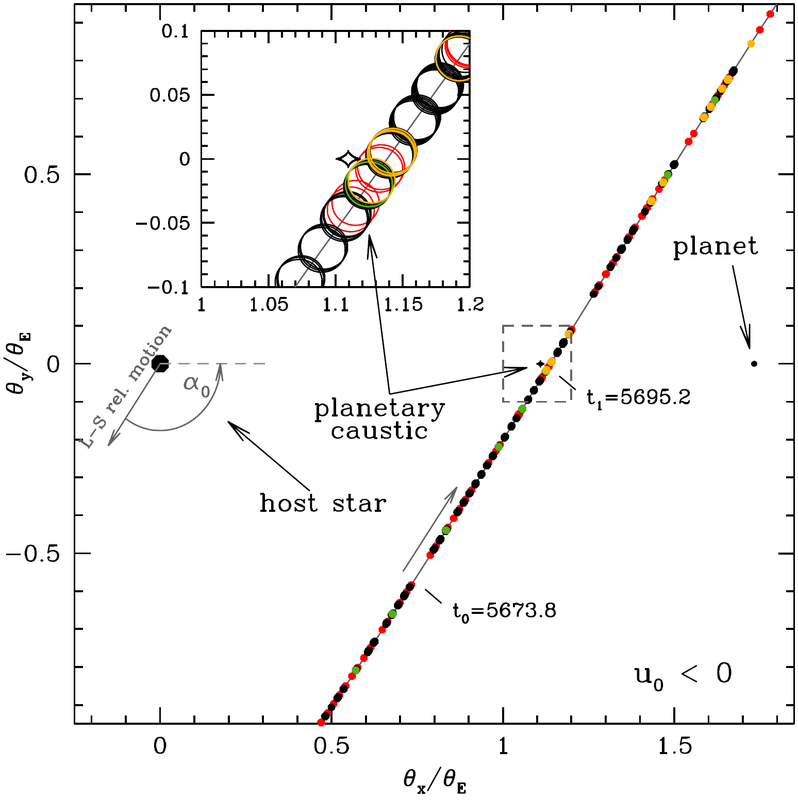 Although the "microlens parallax" effect is not detected in the light curve of this event, preventing the actual mass measurement, the uncertainties of mass and distance estimation are narrowed by the measurement of the source star proper motion on the OGLE-III images spanning eight years, and by the low amount of blended light seen, proving that the host star cannot be too bright and massive. We also discuss the inclusion of undetected parallax and orbital motion effects into the models, and their influence onto the final physical parameters estimates. The Source-Lens Relative Trajectory of the Microlensing Event. Two possible geometries of the event are shown. 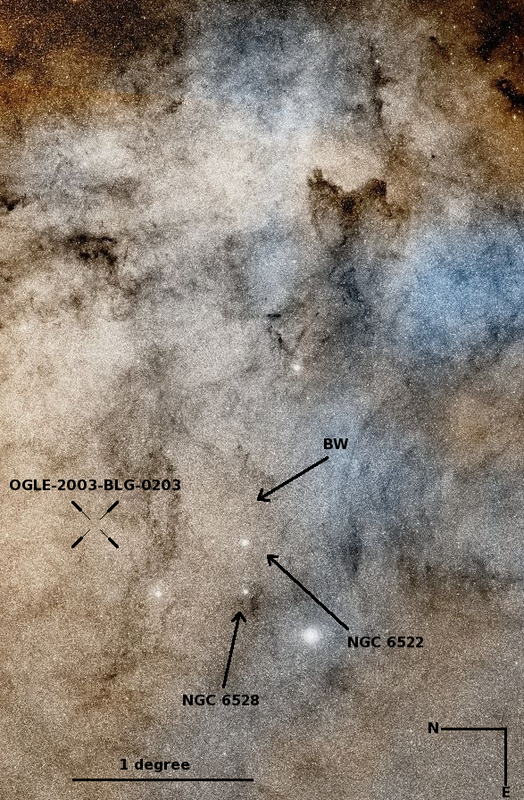 Position of the planet within the Galactic bulge. The area marked with a black rectangle is shown in the right panel. 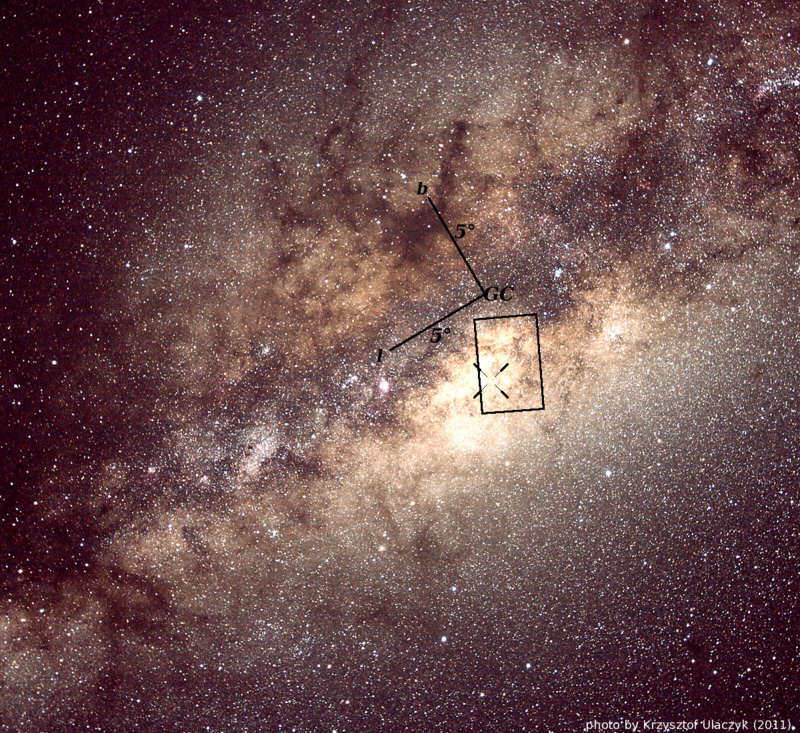 The planet (indicated by a black cross) is located near the Baade's Window (BW) and its two clusters (NGC 6522 and NGC 6528). 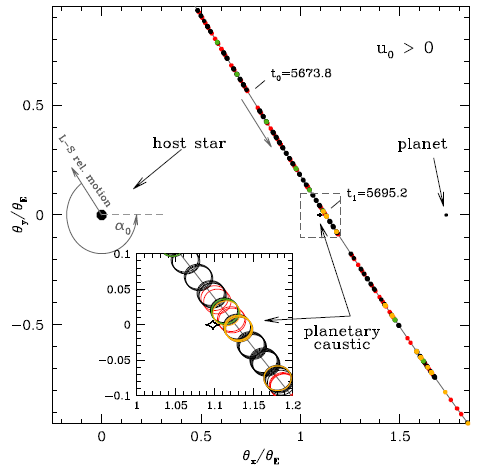 The sky coordinates of the planetary system are (α,δ)J2000 = (18:03:24.96, -29:12:48.3) and (l,b) = (1.7,-3.5).